Tania Aladjova is a Human Resources Projects Manager for Europe Middle East and Africa at HP. 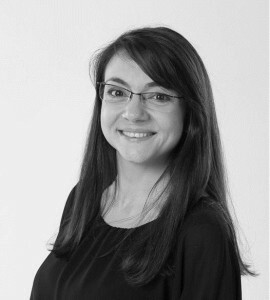 Tanya has 12 years of professional experience in Human Resources Management. She has commenced her professional path and keeps working in the IT industry, experiencing a number of organizational restructurings and the way those shape HR management. Tanya’s expertise lies in workforce transformations, management of change and culture realignment, organizational development and talent acquisition activities. Tanya is a believer that a strong HR function requires a broad scope of general management knowledge, and should step beyond pure personnel management. Tania holds a Master’s degree in Human Resources Management (HRM), gained at University Montesquieu Bordeaux IV, followed by an Advanced Level Certificate in HRM, granted by CIPD.